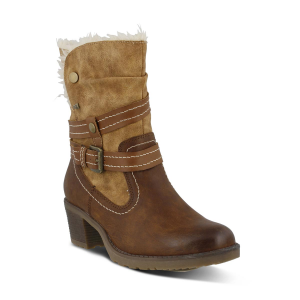 ABABI Spring Step Women's Ababi Ever changing weather patterns are the inspiration for this functional fashion boot. 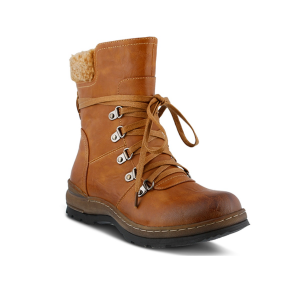 This water resistant, vegan leather and knitted tall shaft hiker boot is styled with antiqued finished hardware and two-tone laces. ALLURA Spring Step Women's Allura Fun cut-out details and bright spring colors have an allure of their own on the Allura. Pair with a frilly skirt or a slimming pair of jeans for a day in the sun or a night out. 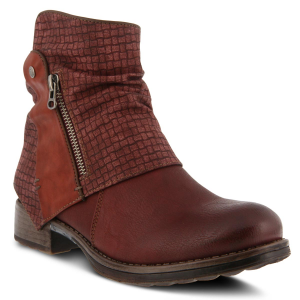 AMBROISE Spring Step Women's Ambroise Get your motor runnin' in these moto-inspired booties with edgy metal details. Your inner wild child will be thrilled! 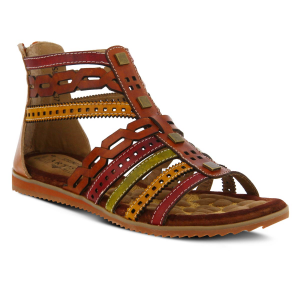 ANJULA Spring Step Women's Anjula Sandal A fun take on a gladiator style sandal. Zip in and go with Anjula and put your creative side on display. BEWITCHED Spring Step Women's Bewitched Put a fresh foot forward in Spring Step. With a younger vibe and updated style, Bewitched is guaranteed to turn heads. BOISA Spring Step Women's Boisa Don't let unruly weather dampen your fashion sense. The water resistant Boisa stands up to imperfect weather conditions while looking sharp. CICELY Spring Step Women's Cicely There will be no exhausting marches in these combat boots; only comfort for your feet and compliments from strangers and friends alike. Everyone will want to know where you shop. CITRINE Spring Step Women's Citrine When the weather is not so cooperative and it's looking like rain, don't sacrifice style for function. 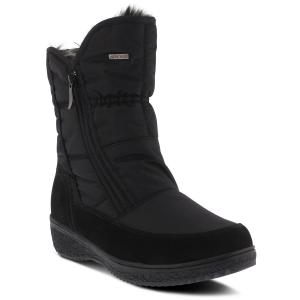 These water resistant booties will help you battle the damp conditions in trendy fashion. 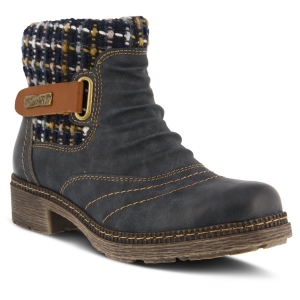 ERMNA Women's Erminia This hand painted color-blocked boot is both trendy and sophisticated. A great addition to your fall wardrobe! 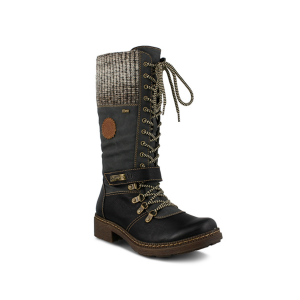 ERNESTINA Spring Step Women's Ernestina Keep your feet warm and dry in these stylish pull-on boots. Whether you're shoveling a path for the mail carrier or taking the dog for a much needed walk, the Ernestina will make sure your tootsies are protected. ESBEN Women's Esben Total fashion. 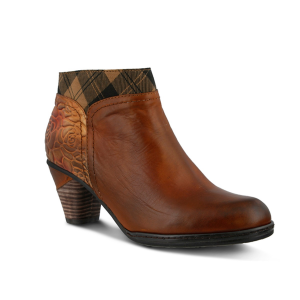 Hand painted leather and pull-on bootie with printed elastic topline. A perfect fall hit! 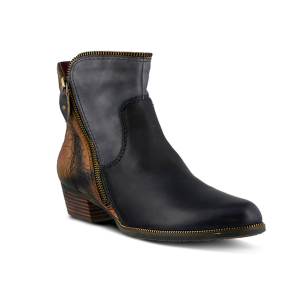 FAB Spring Step Women's Fab This basic bootie is taken to another level with a chunky stacked heel and the perfect peek of toe for summer. 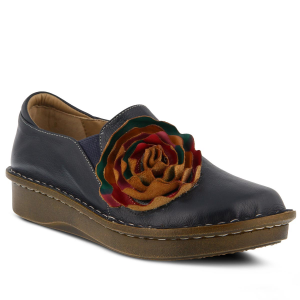 FEIJO Spring Step Women's Feijo The Feijo may look like one tough cookie, but she has a heart of gold. Ride the open road or just stroll along the boulevard in this robust style.